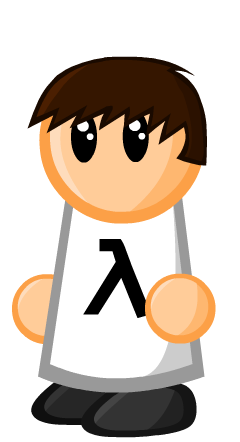 The project was created by Andrew Kozlov (known online as “rassl007”), a Ukrainian game developer who came to the idea from his frustration of not being able to play Half-Life on his mobile. Whilst many of us would argue Half-Life is a game truly for the PC, the surge in smartphones and tablets over the last few years has led to a rise in popular PC titles being ported over to mobile app stores to enable players to take their games with them wherever they are. 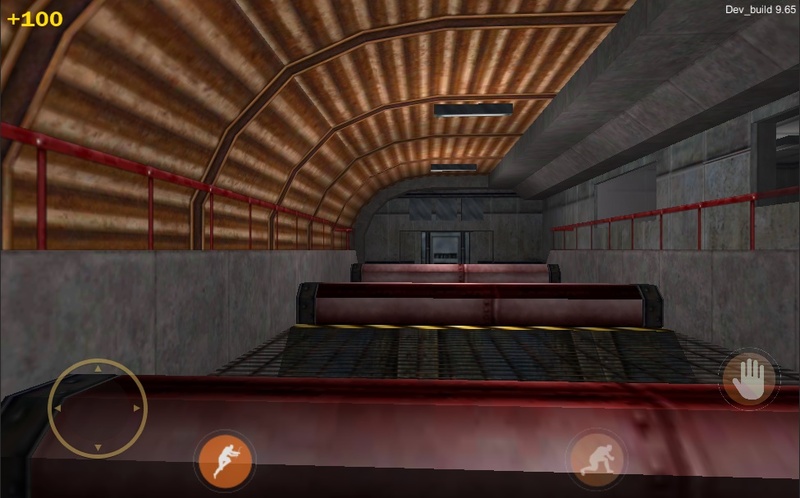 Unlike many commercial mobile ports however, Half-Life Mobile is recreating Half-Life in full-detail, from start to finish, with no compromises. What’s best is that Half-Life Mobile will be completely free. 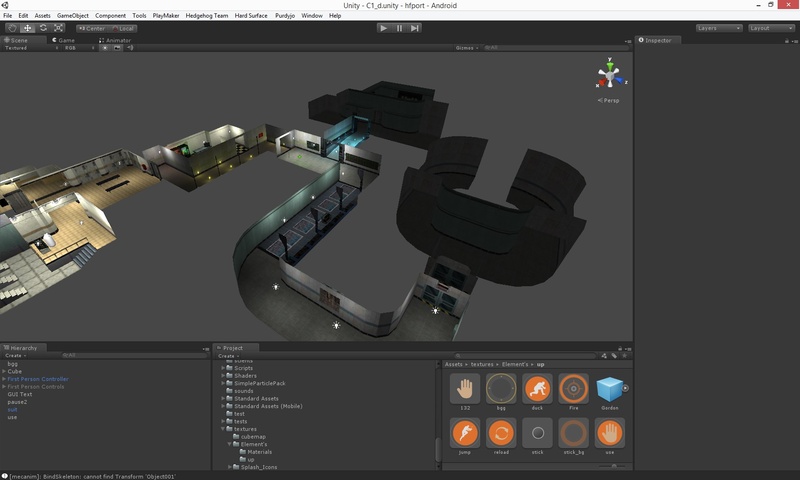 The project aims at being an enhancement to the Half-Life experience. In no way is it attempting to replace the traditional PC orientated usage of the original, it is simply extending Half-Life’s availability. An in-game screenshot from the Hazard Course level. I was personally very excited when I first read about the project on the Russian social network, VK. As a (desktop) PC gamer, I have always been faced with the issue that whenever I leave my PC behind for a long time, I also have to leave my Steam games behind too (unless you have a laptop of course, or stumble upon a LAN). Whilst we are not likely to see graphically intensive games such as Crysis or Battlefield 3 on the mobile anytime soon, new smartphones have the power to render games with relatively low-complexity graphics such as Half-Life quite well, making it relatively easy to bring older games to the pocket gaming realm. The game will be covering all of Half-Life’s gameplay (including Xen!) and it will use the majority of Half-Life’s original content, however some aspects are being re-made for optimization and technical purposes, but to the exact original details. The Half-Life Mobile Team is also attempting to make the game available on a range of mobile operating systems. So far they have begun developing it as an application for iOS and Android, however they have plans to possibly extend this to BlackBerry OS too. One of the concern’s with the project however is that the game is an unofficial and (currently) unauthorized near-exact recreation of Half-Life, which is of course Valve’s own intellectual property. Although the project doesn’t seem to be on Valve’s radar yet, it could be at risk of legal action, which other similar projects such as a Portal Port for Android have been subject to. Nevertheless, Half-Life Mobile is a big commitment and the project is being fuelled by nothing more than the team’s deep passion for Half-Life and their extensive technical knowledge and interest in mobile game development. What was your inspiration for making Half-Life Mobile? I was looking for a game on my phone and for some reason it was Half-life, but I couldn’t find anything. The next day I was sitting at the computer and thought what project I could do next and then I remembered Half-life and so I created ‘Half-life Mobile’. What mobile OS’s will it be available on and will it be on the official app-stores for those platforms? Android, iOS and maybe Blackberry and yes it will be free on Google Play and the Apple App Store. How are you going to implement the advanced movement controls needed for places such as Xen? I am going to do separate controls for the jump buttons with a smart, user-friendly interface. It will be done when it’s done! Half-Life Mobile is a true reflection of the widespread strength and commitment of the Half-Life community. A game, made in 1998 is being re-made for an new platform, completely free with no commercial incentive. It is driven by passion and through pure commitment to create something that everyone else can benefit from. This I find incredible. It’s an amazing project and we hope that Half-Life Mobile will eventually find its way to your mobile! You can also find Half-Life Mobile on ModDB, Twitter, Steam and VK. So you guys kind of skipped this week on Community Spotlight, huh? 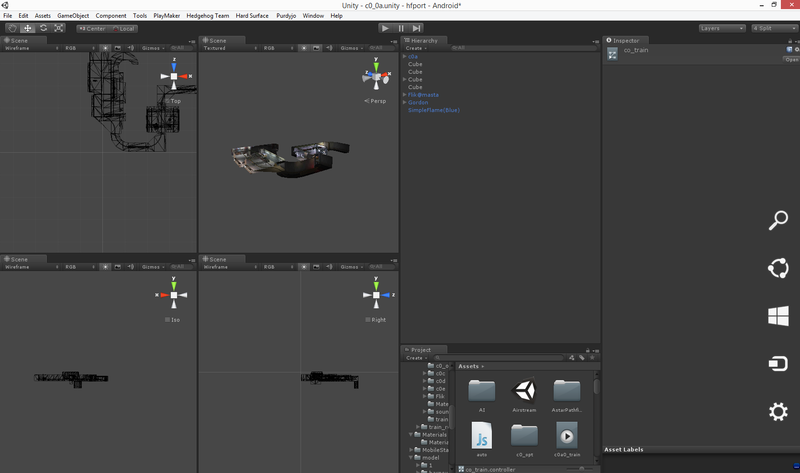 Actually, I can’t really understand why the unity engine was chosen. There is already an open-source reverse engineered version of GordSrc that can run most mods without any problem. Can’t remember the name through. I think it would be a lot easier to just port this engine to android, instead of remaking the entire game on a diffrent engine… And even if porting this specific version was impossible, there are also Quake engine ports for android. Actually I’m glad they didn’t use Xash3D. It’s a buggy pile of garbage “Source Port” made from stolen code. Only an idiot would even touch that terrible thing. Stolen code? Can you explain? 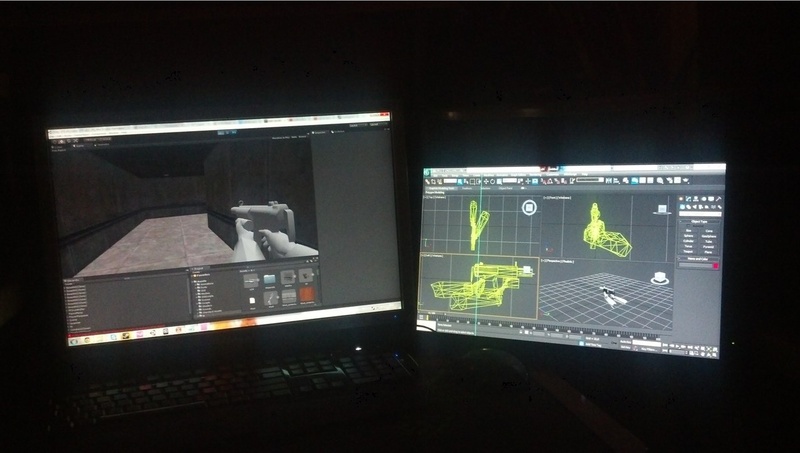 It’s based on the Quake engine, the public Half-Life SDK and GoldSrc reverse engineering. 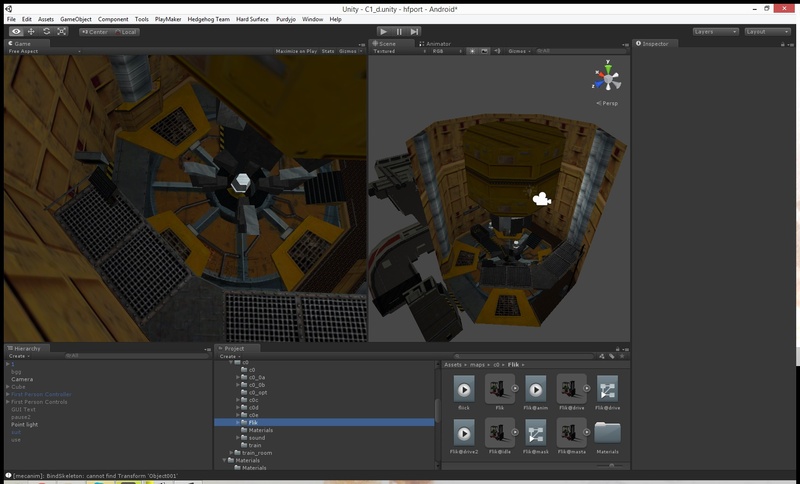 If this software is called Xash3D then why the hell does it say ‘unity’ at the top of every screenshot? But it does look like a great project! Call me a nay-sayer all you want, but i agree with this 100%. I’ve seen so many good fan projects (Not only HL-related), and non of them ever came out. They looked good during development, but at one point, the information flow just stops and the projects is never heard of again. Community Spotlight is aimed at just promoting fan-made creations which are not well known in the mainstream, its not intended to suggest these creations will or will not be released. I know from speaking to the developer of this particular project he has already been offered help by others and it has been widely shared on the Russian social network VK after we posted this article. Mods are different. This is a whole different thing… In this situation he’s cloning a game into Unity, and this has been previously done with Portal but was removed from the App Store by order of Valve themselves. They would not mind if someone PORTED their engine to mobile but duplicating their game into a different engine and distributing it for free, fan or rival company, is against their rules and they will and have removed these sorts of things. Mods on the other hand, are reusing licensed content and distributing it further to ONLY THOSE with the right to this content (by buying a Source game.) THIS project allows one who has not purchased Half-Life to play an almost identical experience of it for FREE. Valve WILL take action, the creator needs to contact them! Why would they be alluded to purchase the PC version if they could play it for free on this? Wow, that’s a very detailed comment 😛 But yes, the guy is actively tweeting the development on this and even if it can’t get into the app store we can still download it on jailbroken devices/ we can still install the android APK without the Play Store! Oh yeah, you are “dniwe”. 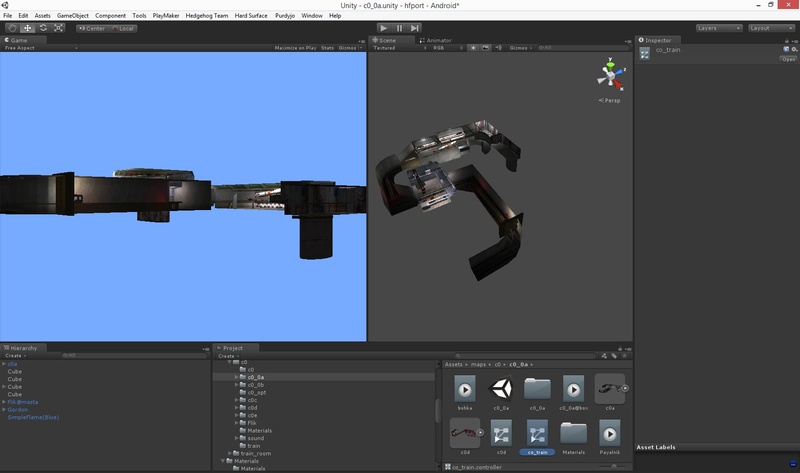 A very interesting project, but I can see there’s a lot of hassle recreating Half-Life on the Unity engine, especially for mobile devices. Best of luck, Andrew.